More than 578 miles of coastline extend around New York City's boroughs, which are bordered by the Atlantic Ocean along Brooklyn's southern coastline and by the waters of the East and Hudson Rivers around Manhattan. 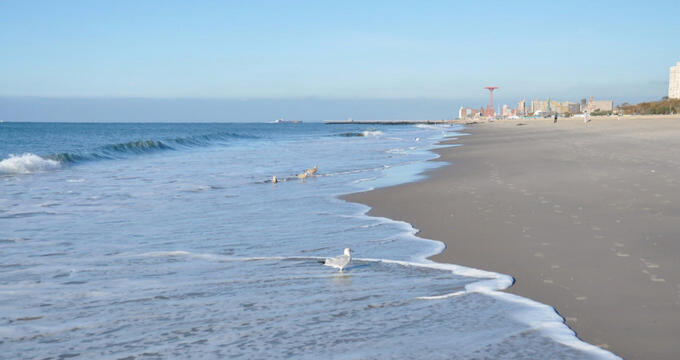 Over 14 miles of public beaches are offered throughout the city, including internationally-renowned sites such as Coney Island. 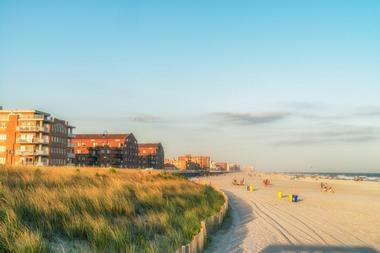 Rockaway Beach and Boardwalk is the largest urban beach and boardwalk facility in America, stretch more than five and a half miles along New York City's Atlantic shoreline. The 170-acre beach is NYC's only legal surfing beach area, letting visitors catch waves at its sections between Queens' 67/69 and 87/92 Streets. Visitors can enjoy barbecues at the park's day-use picnic sites or pick up games of beach volleyball, basketball, baseball, or handball at its various public courts. History buffs can snap photos at the beach's Rockaway Doughboy Statue, which honors the lives and loss of fallen area World War I soldiers, while birdwatchers can spot migratory birds at the Sandpiper Playground. Other major attractions include a roller hockey rink, concession areas, and children's playgrounds. Jacob Riis Park is a delightful public oceanfront beach in the Rockaways, located within the Gateway National Recreation Area. 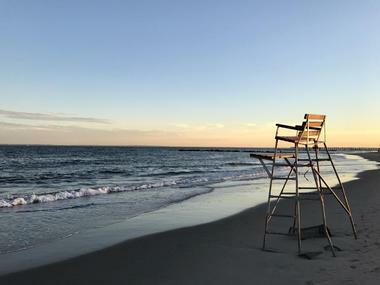 The park, which is named in honor of famed New York City photographer and journalist Jacob Riis, is located adjacent to Fort Tilden near Rockaway Beach, accessible via the Marine Parkway-Gil Hodges Memorial Bridge. It is famed for its 1932 Art Deco-style bathhouse, which was modeled after the city's Jones Beach bathhouse and is preserved as an historic site today. A boardwalk spans the beach's northern end, while the Central Mall concourse stretches throughout its central area. Visitors can swim, subathe, or enjoy family-friendly games at the park's 18-hole Pitch and Putt Golf Course. 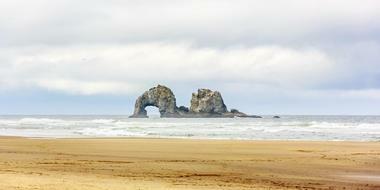 A variety of sporting courts are also offered, along with day-use picnic sites and barbecue grills. Fort Tilden Historic District is one of New York City's unspoiled hidden gems, located within Queens' Gateway National Recreation Area adjacent to Jacob Riis Park. The district preserves the former historic United States Army installation of the same name, overseen by the National Park Service since its decommissioning. Though most of the fort's former facilities have been abandoned and partially reclaimed to nature, several buildings have been repurposed, including Battery Harris East, which serves as a 360-degree viewing platform for observing the surrounding New York City skyline. Beachfront areas are open to the public for fishing and relaxation, though swimmers should exercise caution, as no lifeguards are staffed on duty. As the historic site also serves as an important habitat for the threaten piping plover, visitors should exercise caution not to disturb nesting sites or step on eggs. 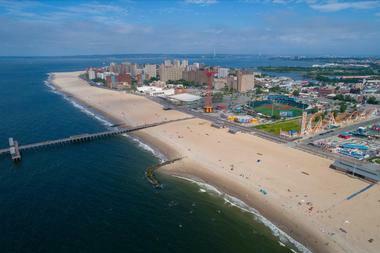 Brighton Beach, commonly referred to as "Little Odessa" due to its strong Eastern European heritage, is a lively beachfront community in South Brooklyn, located directly adjacent to famed beachfront entertainment spot Coney Island. The beach and neighborhood have been featured in a wide variety of films, literature, and theatrical productions, including Neil Simon's Tony Award-winning 1983 drama Brighton Beach Memoirs and its subsequent film adaptation. Lifeguards are staffed on duty daily throughout the summer months at the beach, which offers opportunities for families to swim, surf, and sunbathe along the Atlantic Ocean shoreline. Traditional Russian and Eastern European restaurants line nearby Brighton Beach Avenue, offering a more laid-back and authentic alternative to the carnival-like atmosphere of Coney's Surf Avenue. Coney Island is one of America's great historic beachfront boardwalk entertainment centers, known around the world for its thrilling classic rides, carnival-like games and amusements, and other boardwalk vendors and attractions. 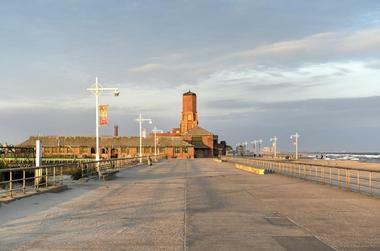 The famed beach's boardwalk is open to the public year-round, stretching over three miles along Brooklyn's southern coastline on the Atlantic Ocean. 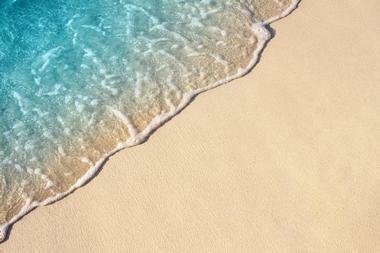 Visitors can swim, surf, or sunbathe along the area's family-friendly beachfront or enjoy a plethora of midway games and sideshow attractions further ashore. At Luna park and Deno's Wonder Wheel Park, visitors can ride classic rides such as the historic Cyclone rollercoaster and one of the only eccentric wheel Ferris wheels in the world. Convenient access to top Brooklyn attractions such as the New York Aquarium and MCU Park is also provided along Surf Avenue. 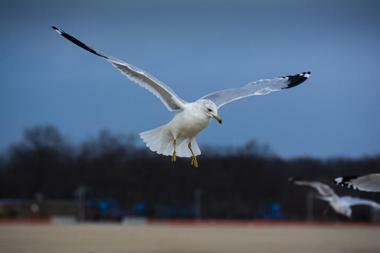 Orchard Beach is the only public beach in the Bronx, located along Long Island Sound within Pelham Bay Park. The 1.1-mile beach, which was originally referred to as the "Riviera of New York" at its opening, has been expanded several times to include landfill islands within the Sound, primarily in 1937 as part of expansions by city parks commissioner Robert Moses. Today, the charming beach offers a 13-section shorefront connected by a hexagonal block promenade, open to the public during the summer months for swimming when lifeguards are on duty. Barbecue grills are available in the beach's north and south picnic areas, with more than 25 courts provided for beachfront volleyball, basketball, and handball. Other amenities include an American-style concession stand, two children's playgrounds, and restrooms and changing facilities. Manhattan Beach Park is a favorite summer beachfront destination for families all around the New York City area, located along Brooklyn's southern tip in the neighborhood of the same name. The neighborhood, which was originally developed in 1877 as a resort area containing attractions such as the Oriental Hotel, is located adjacent to Brighton Beach and offers a less-crowded alternative to the bustling beachfront of nearby Coney Island, with opportunities for swimming and sunbathing along the public shoreline area. The impressive Manhattan Beach Playground, newly renovated in 1997, offers a water fountain, a sprinkler system, and whimsical motifs of marine life. Basketball, baseball, handball, and beach volleyball courts are also offered, along with barbecue grills and day-use picnic areas.